The Somali constitution (Dastuur) says two states (or more) can join to create a Federal state. Somalia is made of 18 states. 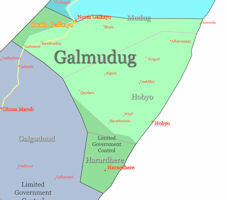 Galmudug, which claims to control a combination of the Mudug and Galgadud regions, was first to test the theory of the "mini-state" in 2006. Since that time, it has become a kind of role model for many mini-states claiming to govern areas over which they actually have they have little or no control. The Galmudug presidential election in 2015 was a major breakthrough for the central government which is attempting to implement a federalism system across Somalia. Overcoming the challenges of the State Formation process has been a major test for the Federal government which in effect has completed the process now with the holding of a transparent election in which voters elected a new president. This is a rare attainment by the Somali people as the entire process was initiated and completed by Somalis without any outside support. The newly formed state of Galmudug announced its first cabinet August 28, 2015, barely a day after signing a peace agreement with the moderate Islamist group Ahlu-Sunna Waljama’a. Galmudug president Abdikarim Hussein Guled unveiled the first line up of his new cabinet members which also include four state ministers and 23 assistant minister. Notable in the list was Sheikh Ibrahim Hassan the chairman of Ahlu-Sunna Waljama’a who signed the peace agreement on behalf of the group. Galmudug administration appealed 20 July 2017 to its neighbor Puntland to arrest armed men that fled to its territory after attacking Saaxqurun location situated Galmudug side and killing a civilian. The Deputy Police Commander in Galmudug Abdi Jama Abdulle Habeeb said Puntland had the responsibility to arrest the attackers in line with agreements by leaders of the two states recently. The agreement by Galmudug and Puntland to coordinate in dealing with security challenges would be critical in reducing crimes in both states. Puntland and Galmudug announced 17 July 2017 the formation of a joint police force to be based in the border town of Galkaayo. The officers, 50 in number will be trained and equipped to ensure law and order in the town which has been the epicenter of perennial conflict pitying communities from both sides. 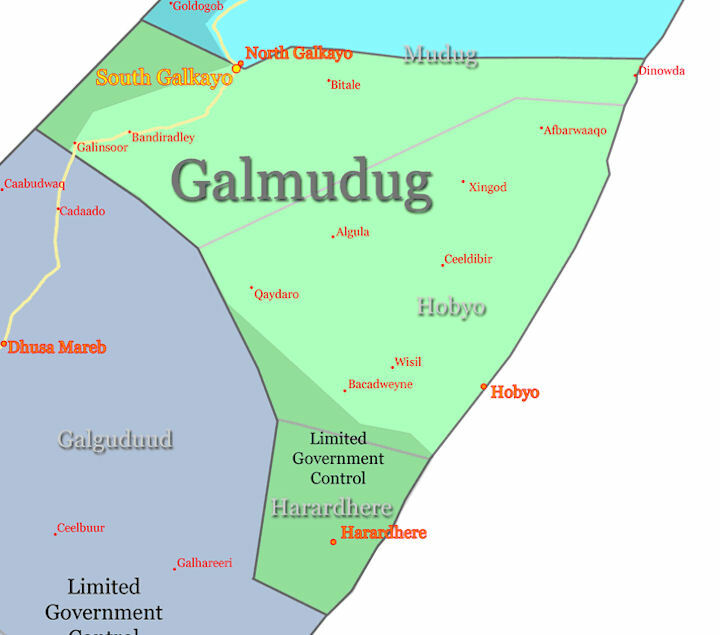 The border town of Galkaayo in central Somalia is separately administered by Puntland in the north and Galmudug in the southern part. It has been the epicenter of tribal clashes especially in the rural areas due to revenge attacks and access to green pastures thus leading sometimes to full scale conflict where the security forces from both sides are involved.